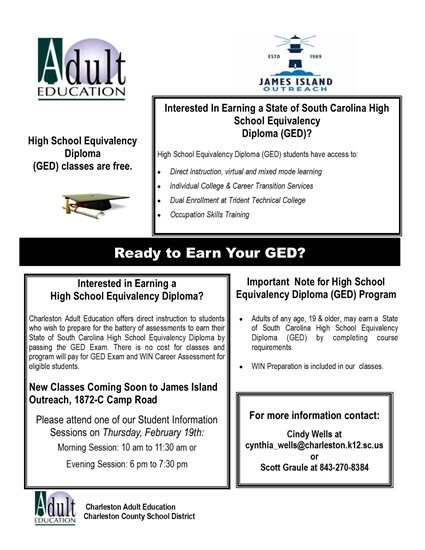 Ready to Earn Your GED? © Town of James Island, South Carolina. All Rights Reserved.